The Small Change, for (very) small change. 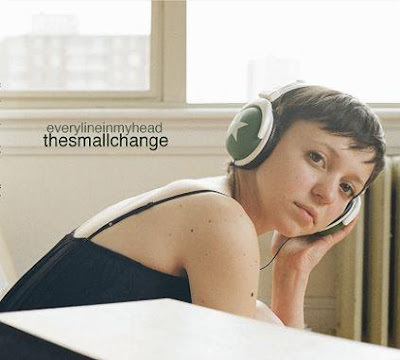 Seattle's The Small Change is back with Every Line in My Head, their third disc and followup to their quality 2005 self-titled debut. They're on Unsmashable Records, and they're kindred spirits with labelmates The Doll Test and The Riffbrokers. In other words, hard-driving power pop with garage and British Invasion overtones. "From the East Coast" gets you right into things with a propulsive guitar riff that underlines their passionate rock sound, while "Droppin' Petals on the Way Down" has an Elvis Costello feel to it. "Downtown in a Restaurant" finds them taking no power pop prisoners, and the title track is 2:10 of first-rate garage rock. Also like The Doll Test, they're not afraid to tackle political themes as "Nothin' 2 Say" and "Yer Torturin' Me" attest, although the songs work as power pop and rock as well. And the best part of it - you can download the album at their official site, at the mere cost of your email address. If you want to listen before you download, check 'em out at MySpace. Baby Scream-Identity Theft. Argentina's Juan Pablo Mozzolla is back with the followup to last year's Ups and Downs, and the result is a nifty little EP that's the most Lennonesque thing this side of Future Clouds and Radar. The lovely (and short at 1:12) "Be" kicks things off, "Dead Woman Walking" bears a Jon Brion influence, and the midtempo "Nicole" is where the Robert Harrison comps come in. "Memories" almost sounds like something from McCartney's first solo album, and "Underground Blues" recalls Lennon in his Phil Spector phase. Early line favorite of Top EP of 2010. 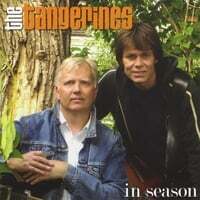 The Tangerines-In Season. With bands like The Merrymakers and Beagle no longer with us, someone needs to pick up the torch of classic Swedish power pop, and The Tangerines are ready to fill the bill. After their excellent 2007 self-titled debut, Per Tolgraven and Hakan Eriksson are back with In Season, 16 tracks that will feel like a breath of fresh air and put a spring in your step. The opening 1-2 punch of "You'd Better Stop" and "Rock'n'Roll Girl" will immediately catch your ears with their non-stop pop hooks. Other tracks of note include the strangely-70s-ish "New Sensation" which somehow reminds me of Joe South meets The Bay City Rollers (don't ask me why, just listen to it below), the exquisitely jangly "Girl of My Dreams", "Diamonds in the Dew", which would make a great TV theme, and the Beatlesque "Hey Hey Michelle". How Swede it is! Fran King-My Sweet Elixir. This Irish singer-songwriter caught my attention with 2005's Beautification, a Neil Finn/David Mead-type disc. He's back with My Sweet Elixir, and it's another winner. If Finn and Mead were the touchstones for the debut, this time around it's more Emmitt Rhodes/acoustic McCartney. "No Remorse (I Feel Every Word)" opens things nicely, a midtempo number with a killer chorus courtesy of King's falsetto, and the gentle, lovely ballad "Upstream" is another standout. As is "All About Me", a vaguely-jazzy, vaguely-60s styled number, and while "I've Got a Feeling" isn't a McCartney cover, it's a folky number that I'm sure Sir Paul would enjoy. Popcraft at its finest. 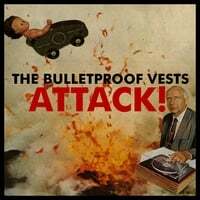 The Bulletproof Vests-Attack! Mention Memphis and Ardent Studios, and Big Star comes to mind. Well, here's a Memphis band that enlisted Adam Hill, an Ardent Studios engineer, to mix and produce their debut, and darned if these guys don't have a little Chilton in them. They manage to mix power pop, rock and R&B in an intoxicating mix, and grab you from the get-go with "Magic Wand", 3:16 of rollicking goodness that brings to mind the classics as well as current bands like The Whigs. "Down in Yer Pocket" could be The Black Keys mixed with Booker T & The MGs, and "Darlin' Wait" is an awesome rave-up. Elsewhere "Picture Show" sounds like a lost Nugget, "Don't Cry" is a dusty barroom ballad, and "B&E" rocks with abandon. Although you don't hear the "Memphis sound" much any more from new bands, these guys do it proud. 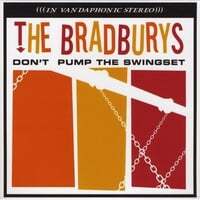 The Bradburys-Don't Pump the Swingset. They're back! In 1999, the Bradburys exploded onto the power pop scene with Introducing The Bradburys, and then (with the exception of a couple of one-off tracks) just as quickly vanished. 10 years on they've released Don't Pump the Swingset, and it's like they never left. Purveyors of what they call "Midwestern Power Pop", these Chicagoans share a sound with geographic compatriots The Shoes, Material Issue and The Vandalays. Among the disc's standouts, "Shout It!" opens the proceedings in a power popping party mood, "She's from Liverpool" has the Merseyside feel that its title suggests, and "Go Go" finds them at the most Shoes-esque. Only eight tracks here, but we'll take any Bradburys we can get. 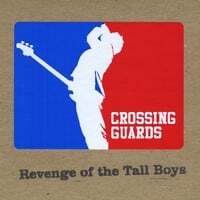 Crossing Guards-Revenge of the Tall Boys. Like The Bradburys, Crossing Guards are another band emblematic of their local scene, in this case Minneapolis. Channeling The Replacements and Soul Asylum, and reminiscent of other local bands like High on Stress and Gidgets Ga Ga, their debut album will be a must-get for fans of this particular strain of power pop/rock. Tracks like the rough and ready "Get Serious", the Elvis Costello-tinged "51 Weeks Ago", and "Pretty Little Problem" are perfect examples of said sound, but they do manage to throw in a few curveballs. "Untouchable" is straight-up Beatlesque pop, and the psych-influenced "Another Paper Breakdown" sounds like a lost Nuggets curio. An appealing debut. That Research Turtles disc I reviewed last week can now be yours free to download, if you pay a visit to their new official site. Best deal of 2010 to date! 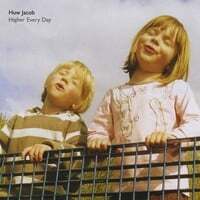 Huw Jacob-Higher Every Day. Manchester's Huw Jacob was probably destined to be a pop/rocker, what with his father attending Pete Best's school and working with John Lennon's uncle. Thankfully fate's hand is our gain here, as Jacob has crafted a wonderfully melodic debut disc that falls somewhere in between Crowded House and Teenage Fanclub. Opener "Howdoyaknow" has a Rubber Soul feel to it, while the easygoing "Ice Lemonade" recalls Daniel Wylie and the Cosmic Rough Riders. Other highlights include the TF-like "Abide", the poptastic "This Life", and the jangly "Find You as a Friend". A real standout. 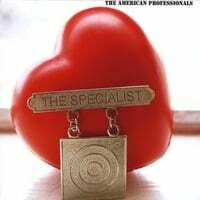 The American Professionals-The Specialist EP. This California band is back for the first time sine 2004's Faking It, and it's a welcome return. Purveyors of crunchy guitar pop that could be described as The Replacements meet The Smithereens, this EP will appeal to fans of those discs as well as Cheap Trick and Weezer. The driving title track makes sure of this, while "Jump This Train" will have you playing air guitar in no time, and "Yet Another One More Time" recalls Foo Fighters' more melodic moments. An early contender for best EP of 2010.